Tallahassee Mayor and Florida gubernatorial candidate Andrew Gillum defended himself during Wednesday night’s debate against his opponent from the notion that an FBI investigation is ongoing into whether he accepted gifts from an undercover FBI agent. 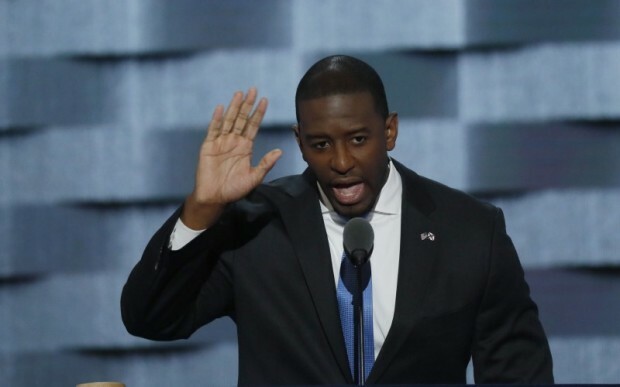 Text messages made public Tuesday showed that in 2016, Gillum and a friend, Adam Corey, received tickets to the Broadway show “Hamilton” from an FBI agent posing as a real estate developer. That undercover agent was investigating corruption in the city of Tallahassee, including the awarding sweetheart deals to developers and businessmen. Gillum and Corey also went to Costa Rica with the agent. Gillum has been accused of not paying for his share of the trip.